Someone asked me the other day what the biggest walleye was that I ever had my hands on. You all know that I love big fish, big specimens of any species, so I always love to talk about them! Anyway, I thought I would share my reply to that question with all of you. 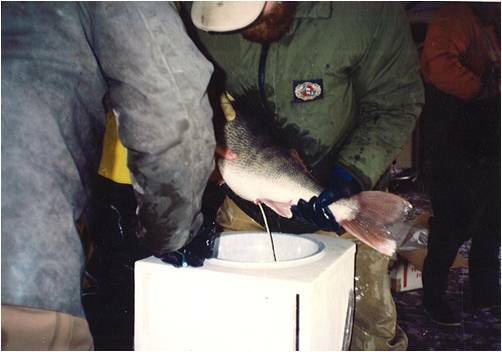 I have handled thousands of Nebraska walleyes, most of those captured while “on the job” while helping with egg collections, tagging studies or annual population sampling. But I have dried a few off while fishing too. I have held one walleye that weighed 13 pounds. That was a female, full of eggs, caught while we were collecting walleye eggs at Harlan. She was caught in a net during a snowstorm and I had the privilege of “squeezing” a couple of quarts of eggs from her. We weighed that fish before taking the eggs and she was 13+ pounds. 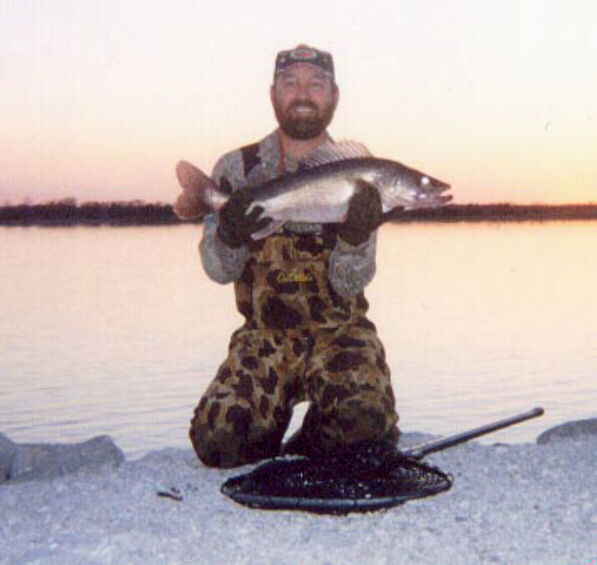 Yes, it was a few years ago, but here is that 13-pound Harlan County Reservoir beauty! And here I am "squeezing" a couple quarts of quality eggs from her. It helps to whisper in their ear. 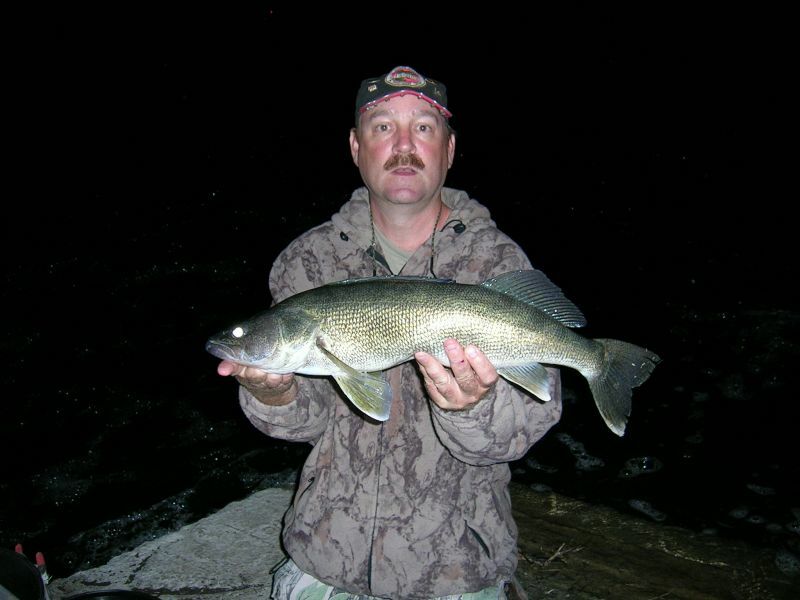 I have seen one other walleye that I believe might have been that big at Sherman Reservoir. Again she was captured while we were collecting walleye eggs at Sherman. We did not weigh that fish, but I believe she might have been near 13 pounds. 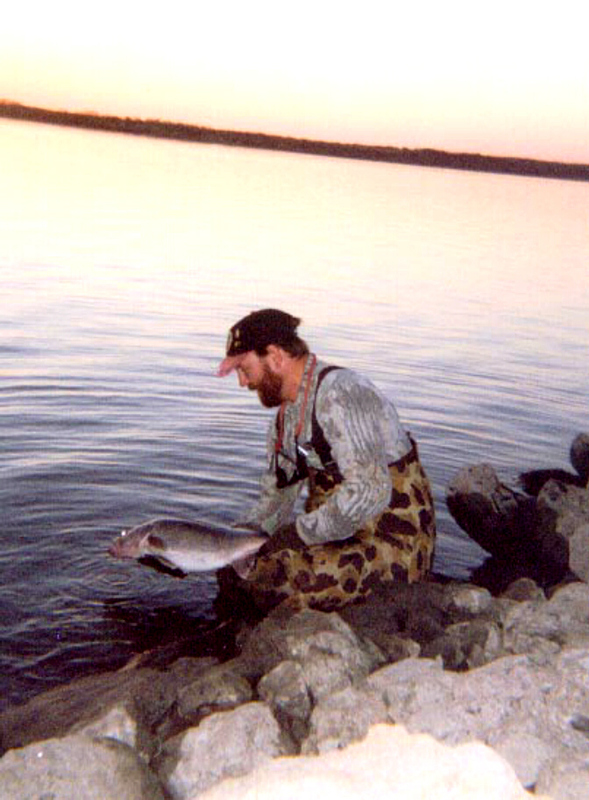 In all of those thousands of walleyes, I have seen hundreds of 8 and 9-pounders. I have seen a few dozen that would weigh 10 pounds. But, let me tell you, any walleye bigger than that in Nebraska waters is a rare fish. 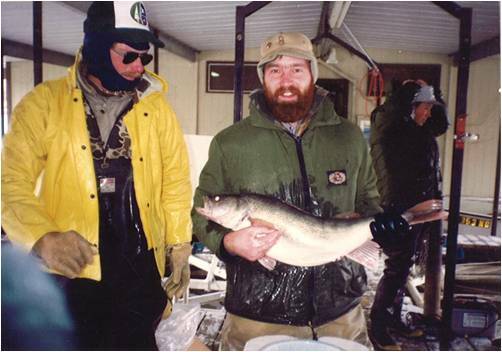 The biggest walleye I have caught on hook & line was a 29.5-inch fish I caught at Branched Oak. That fish was caught in the fall and I would guess her weight at 9.5-10 pounds. I never weighed her and released her after snapping a couple of photos, so you will have to accept my estimate on the weight. Again it was a few years ago, and I really wish I had a better picture because so far this is the biggest walleye I have caught. OH YEAH, of course she went back in the water! I intend to catch her again! Speaking of big walleyes, I just got my April 2010 issue of NEBRASKAland magazine, http://www.ngpc.state.ne.us/nebland/nebland.asp . Eric Fowler has a story in there, Year of the Walleye, you will want to see it! I love big fish, big specimens of any species, and that includes big walleyes! I need to catch more of those big “whitetips” this year!